The ultimate, up-to-the-minute digital photography handbook-from the authors of the bestselling Basic Book of Photography. The Basic Book of Digital Photography is the definitive guide to the expansive world of digital photography from two of the field's most established authorities. The Grimms' classic guide, The Basic Book of Photography, has sold over 400,000 copies since the first edition was published in 1974. Now they are steering photographers through the new era of digital imaging. 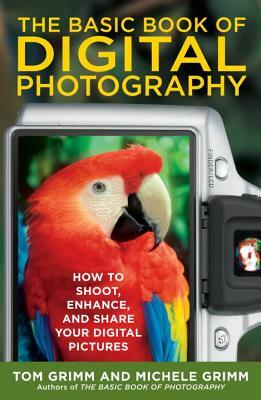 This comprehensive handbook covers how to compose the best shots with cameras from point-and-shoot to the increasingly popular SLR (single lens reflex) models-and even cell phone cameras- and takes readers through the steps to improve, display, and preserve their images. The guide includes over 400 photos and illustrations, an extensive glossary and addresses everything from choosing a digital camera to storing files and printing photos. An indispensable accessory for amateur shutterbugs or dedicated professionals, this is the one handbook no digital photographer will want to do without. Tom Grimm is a freelance photographer based in Oregon who has spent more than 40 years behind a camera and in the darkroom. He has taught at UC Irvine and has traveled to more than 125 countries on assignment for major publications. He is the co-author of The Basic Book of Photography. Michele and Tom Grimm are freelance photographers and writers who have written and illustrated a dozen other adult and children’s books. They live in Oregon.